Bloomington United’s competitive cheer program strives to be a positive environment that teaches character-building skills, how to work hard to achieve goals and having fun while doing so. Our season includes weekly practices, choreography camp, public appearances, community philanthropy, competitions and more! We have a flexible schedule and encourage squad members to participate in other activities! We practice approximately four hours per week and compete in our region. We are currently preparing for the 2012-2013 season. Come join the United family Gemz – become a member of the Black Diamondz (Seniors), Royal Jewelz (Juniors) or White Pearlz (Minis)! Click the link above or go to our Facebook page (http://www.facebook.com/UnitedAllstarCheerleading) for more information on cheer clinics, call-out meeting and squad placement! United Cheer has been a part of the Bloomington community for several years encouraging greater participation and excellence for gymnasts and cheerleaders by providing a safe, positive and confidence-building environment for students and their families. 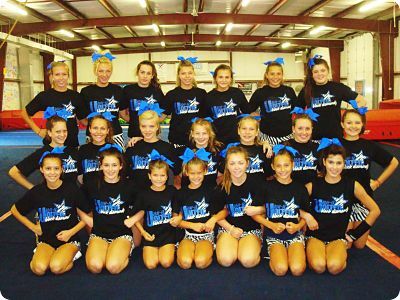 Did you miss placement for our 2012-2013 competitive teams? That’s OK! We still have a few spots available on our Senior (18&under), Junior (14&under) and Mini (8&under) teams. If you are interested in joining our family of gemz, please contact Abbie at unitedallstarcheer@gmail.com for more information. 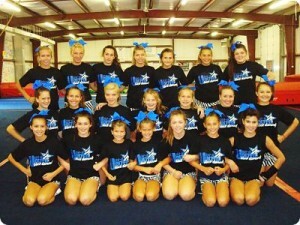 Click the link above or go to our Facebook page (http://www.facebook.com/UnitedAllstarCheerleading) for updates on our cheer season.